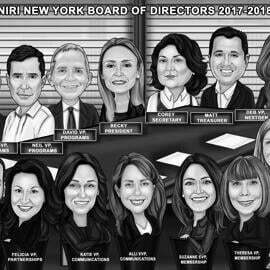 We will caricature a large group from photo of any company's staff members, whether to make an ultimate gift for Boss, colleague or in honor of 10th Anniversary of Company. Caricature will be designed in colored digital style from submitted photographs, which must be of high quality. 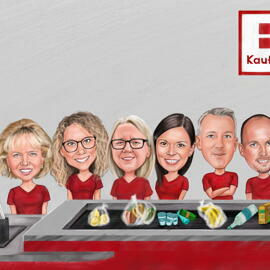 Group Caricature of colleagues with boss will also make a perfect Farewell gift for anyone who is going in Retirement. We offer you to choose the background style and level of exaggeration in order to meet your business atmosphere as well as to make a caricature fully personalized to the recipient. Thus, we can add some company's logo or your business motto and inscription at extra cost. Digital Caricature will be delivered as a ready to be printed JPG File on your Email. Additional Delivery Options: Digital Caricature can be printed on Canvas or Photo Paper, and shipped to the recipient worldwide.